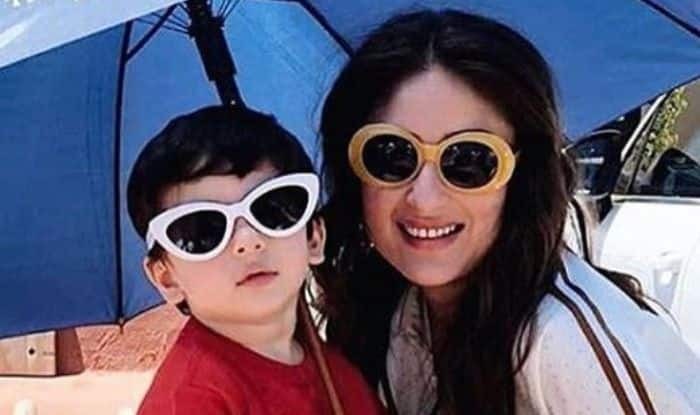 Good News: Kareena Kapoor Khan-Akshay Kumar Starrer Might Feature Paparazzi's Favourite Kid Taimur Ali Khan And Fans Can't Keep Calm! There is no one who takes one look at Kareena Kapoor Khan and Saif Ali Khan‘s tiny tot Taimur and is not left smitten, or so paparazzi would like to vouch. If the latest buzz in Tinseltown is to be believed, Taimur is all set to nestle a permanent happy place into Bollywood lovers hearts as he makes his debut in the industry, reportedly with mommy Kareena and her co-star Akshay Kumar in their upcoming movie Good News. A source told Filmfare that an earlier video, featuring Good News actress Kiara Advani playing with Taimur on the sets of the film, was no coincidence but a BTS of the latter’s shoot. According to the source, Tim has already shot for two scenes where the little munchkin will be seen sharing screen space with his mother and Akshay. Suggesting that his cameo will be extending to nearly 10 minutes, the source even revealed how the cast and crew lighted up, every time Taimur was on the set. Good News is a romantic comedy which will also star Diljit Dosanjh and Kiara Advani in pivotal roles apart from Kareena and Akshay. The film is being directed by debutant Raj Mehta and produced by Karan Johar, Akshay Kumar, and Viacom18 Motion Pictures. The film is slated to release on September 6, 2019. As for Taimur, the dollop of cuteness always does something or the other that not only attracts the paparazzi but the audience as well. His cuteness is something that just cannot be ignored. You will be surprised to look at his recent pictures. From sporting spiked hair to fixing cameras with the most adorable stare, the little Nawaab leaves no stone unturned to grab eyeballs.